The Bible has been everything that it says to me and more. We know the verse that says "Thy Word is a lamp unto my feet and a light unto my path" right? Well, the Bible has been just that a lamp to my feet in this world and a light to the ways of life as well!! The Bible has been my guide to health and life! It has been my encouragement when life was just too tough, The Bible has strengthened me and it has even shown me stuff that I thought God didn't know about. And moments like that I know that God is near. He is a Friend at all times. He understands and in His own way, He can make sure that you know that. 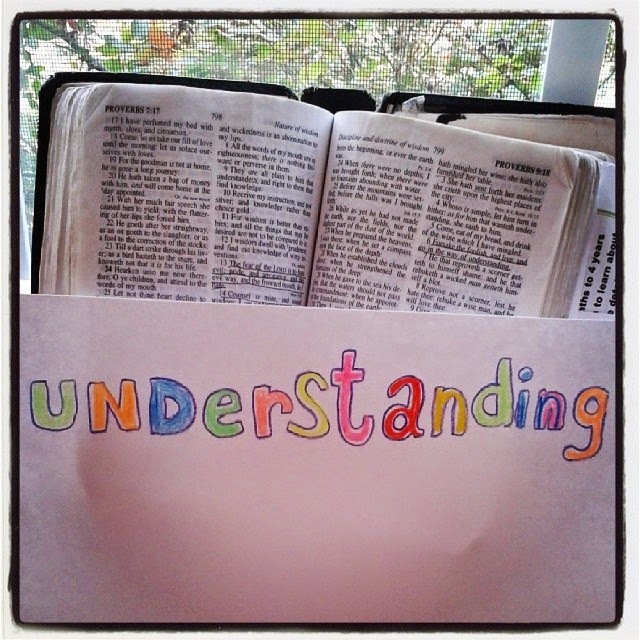 But most of all the Bible has given me understanding and that is everything. What is the Bible to you? The Bible has helped me to understand life. And for that I am grateful. I took these Bible studies here and I really enjoyed them. Perhaps you may enjoy them as well. I also went to a Prophecy Seminar and here are the Bible Studies that they used. Here are the original videos made by the author, Gary Gibbs. The videos are dated but the truth remains. You may enjoy them and find clarity to the books of Daniel and Revelation. We can see the way things are going in this world and the only good thing I see is that God knows it all and in His love He has shared in His word what to expect and how to make it to heaven. If you take the studies, I hope that you enjoy them and gain clarity and understanding. For all the 31 Days of Drawing His Word, click here.